I was raised in Florida. We visited Chicagoland every single winter, but from 1 month to 18 years, I belonged exclusively to the sauna that is steamy South Florida. And yet, this hot-baked weather we’ve been having is completely messing with my composure. Have I completely lost my knack for withstanding bracing heat in the years I’ve been here? It’s only been three years, if you don’t count college years when I spent summer at home, but pitifully, I think it happened. And possibly because of that, I find myself clinging to my Florida-native identity even more now when discussing the weather with customers! On the bright side, Chicago winters are so totally easy now. Ha! Bethany always picks good books for her months of book club (I call us the Interrobangs, but I’m not sure anyone else cares), and this month was not an exception. Non-fiction is my weakness, and not in the admirable way: I enjoy non-fic, I enjoy learning from it, and I’m always happy to have-read it, but picking it up is not my natural state. So when I crashed on my boyfriend’s couch and read 90 pages of this straight-through while he played video games, I was a little surprised at myself. 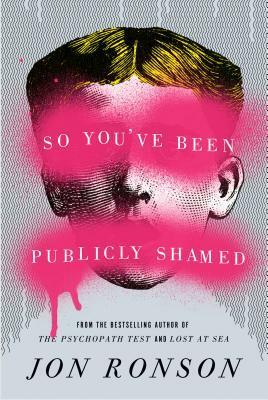 But it really is just good: Ronson does an excellent job at weaving a narrative that I got pleasantly stuck in, and the subject matter is just lurid enough. I never felt a strong opinion on this one. Not while reading it, not when I finished it up, and not now. 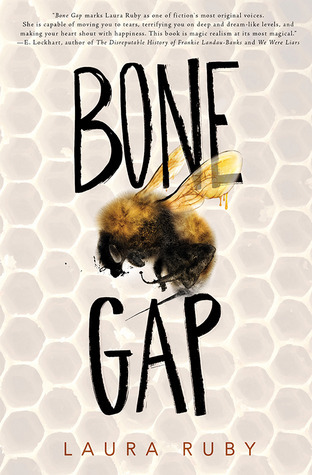 It’s this slow, but not boring, sort of magical realism that sneaks up on you. It’s also YA, but that doesn’t stick out much at all. Possibly the best description, now that I’m forcing myself there, is deliciously subtle. I doubt I will, because I’m only a re-reader at the rarest times, but there’s a part of me that feels like I’d only really understand this the second time through and I don’t mind that feeling one bit. 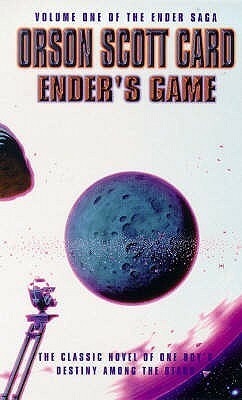 Ender’s Game! Isn’t it the absolutely best when a hyped-up book, whether by the media or your boyfriend, lives fully up to expectations? I’ve already read the next, Speaker for the Dead, and I’m waiting for the third on hold. I’m happily open to carrying on until I’ve read all dozen or so in this universe, however long that takes me. And this is definitely making me want to expand my sci-fi repertoire, so I’m taking all book recs. I have a habit, when I’ve read too much since the last post to cover everything, of picking out just what I’m excited to write something about. But every reading life has so-so moments, and this time I’m including one of mine. There was nothing I particularly didn’t like about The Forgetting Time, and I was really looking forward to the “reincarnation from both an academic and narrative perspective” premise, and the excerpts from real-to-life books on the topic were a great add-in. But I was bored. And not the bored of a difficult novel, or the bored of a dry text, because both of those have reasons and a sense of accomplishment when you push through or even grow into them. Between a few admittedly fascinating bits, I kept forgetting I was reading this. Finally, this was 88 pages of extremely bizarre bliss. Mr. Leeds is not insane: he asserts that because insanity is partially defined by an inability to function through and even enjoy life because of one’s disorder, he can’t be. The fact that he has quite a few hallucinations that live with him and are all geniuses in their own fields? That have helped him crack impossible cases and made him infamous in the academic community? It’s irrelevant. He functions quite well, despite his recluse status, and enjoys his life just fine. But it does land him in an interesting situation involving a camera that can take pictures of the past. But he is definitely, most certainly, not insane. Basically, Sanderson is being ridiculous while being amazing at it. I picked I Capture the Castle for this month’s book club, and I have no regrets — even though I’ve read it before! (Review) On top of that, I’m trying to find that balance between reading new releases and engaging what’s collecting real dust on my shelves and digital dust of my wishlists. These coming months, that means newer titles like Modern Lovers, The View from the Cheap Seats, and Sleeping Giants are all on my holds list, but also means I’m going to be waiting eagerly for the new-only-to-me next books in several series: Xenocide (Ender’s Saga), The Likeness (Dublin Murder Squad), and Rebel Angels (Gemma Doyle series). And if I finally finish House of Mirth from my 6-book summer TBR list? All the better. 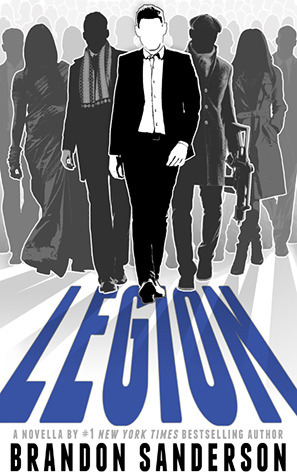 I thought I’d read everything by Brandon Sanderson, but I’ve never even HEARD of Legion. Time to remedy that one, clearly.